La Sala by the Sea opened last week with a bustling bank holiday weekend. Tourists and locals alike headed to the beachfront haven to enjoy delicious Thai cuisine and a selection of La Sala’s signature dishes. This summer La Sala by the Sea (formally Sala Beach) is open every day from 9am offering delicious, fresh smoothies, refreshing frozen yogurt and iced coffees to drink in or take- away and enjoy on your morning stroll. 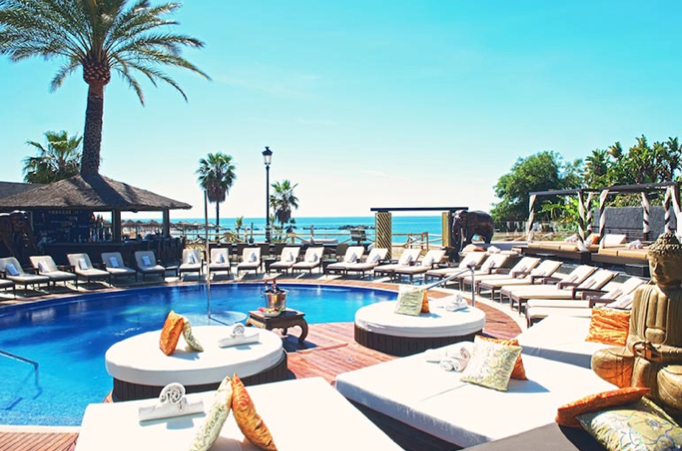 With three tropical bars overlooking the shimmering waters of the Mediterranean Sea, La Sala by the Sea is the ideal location to start your day, but be warned... you will be tempted to stay! Once you steal a peek at the irresistible menu there is no doubt you will be taking a seat in the stunning al fresco restaurant ready to devour Grilled Fresh Scallops in a Vermouth Cream and Mushroom Sauce, Sticky Pork Skewers with Tamarind and Onion Sauce or Sala BBQ Ribs. Make sure you finish your lunch off one of La Sala by the Sea’s alluring cocktails. Choose to sip at the bar or why not retire to a luxury sun lounger and spend the rest of the afternoon basking in the sunshine. From May 23rd La Sala by the Sea will be open every evening offering you divine cuisine in stunning surroundings. Dine under the stars and experience an evening like no other at La Sala by the Sea.